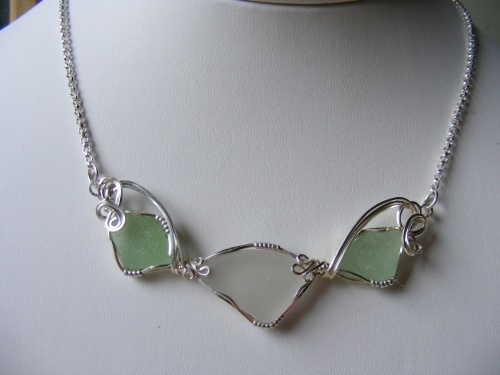 This pretty choker style necklace has a sterling silver rolo chain with a sculpted focal of authentic seaglass of foam green and a white piece centereing it. These pieces of seaglass were picked right on the beach near my home. This is my original design and, it guarantees one of a kind piece. Measures 18".